Czech Republic to extradite ex-Russian official charged with embezzlement - report | Russian Legal Information Agency (RAPSI). MOSCOW, October 9 (RAPSI) – Justice Minister of the Czech Republic Robert Pelikan has approved the extradition of former Russian high-ranking official Alexander Nikolayev charged with embezzling public funds, according to the Czech newspaper Pravo. 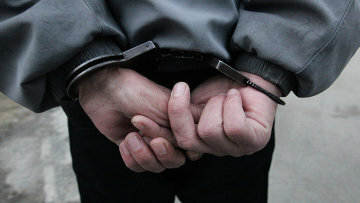 The minister held that there are no obstacles to Nikolayev’s extradition to Russia, the newspaper reported citing his spokesperson Jakub Riman. Earlier, Czech authorities rejected an application of the former Russian official for political asylum, Pravo writes. Russian federal budgetary office's former chief was arrested in Karlovy Vary in January 2016 based on the international arrest warrant issued by Moscow’s prosecutors. In November 2016, a court ruled to extradite Nikolayev. Nikolayev pleads not guilty and claims he is a “victim to a new wave of Russian repressions”, according to the Czech newspaper. 10:59 09/10/2017 Justice Minister of the Czech Republic Robert Pelikan has approved the extradition of former Russian high-ranking official Alexander Nikolayev charged with embezzling public funds.